Have you run this route? Click "completed" to join the others! Don't forget to also write a comment about the route below! Sai Kung seems to be the place to go. Another 5 star route to take your breath away. The route is mixed concrete and trail – but what a trail it is, straight up and down, a great adventure in one of the best spots in Hong Kong. An easy start from Pak Tam Au brings you to the top of the hill above the beach, take the trail left toward Sharp Peak, (* you can follow the direct route to the summit, the route here went round the side and up, both work) follow this to the summit. 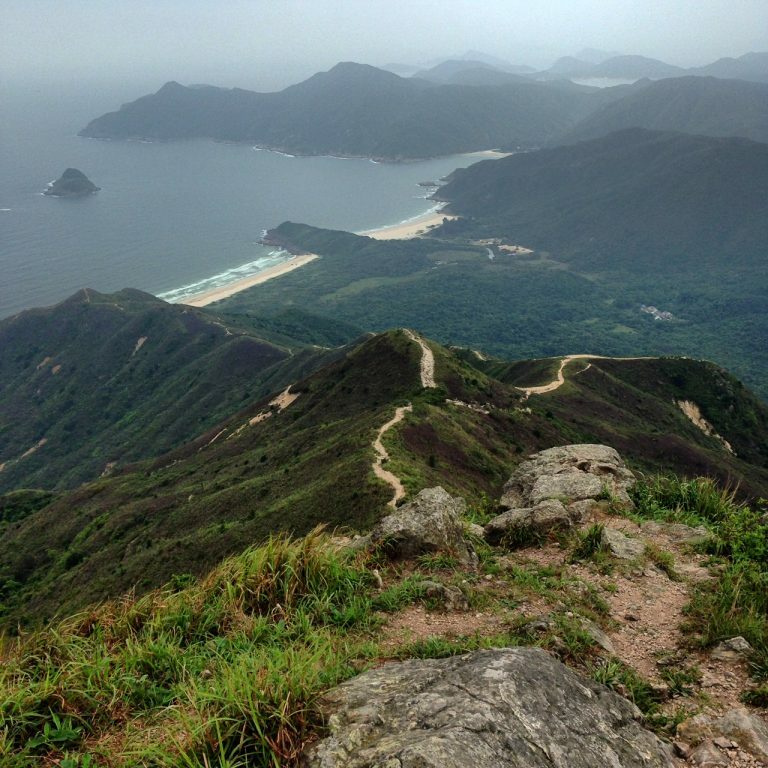 Follow the ridgeline you can see down to Tai Long Wan beach, then over to the Dai Pai Dong for lunch. From here follow the concrete path and signs back to Pak Tam Au. The Dai Pai Dong on the beach sells food and water so you should only need enough to get there and you can refill for the second half. *NOTE* The trail up to and down from Sharp Peak is mostly scree and loose rock, you should be a proficient hiker if you attempt it. Also do not go if the weather is wet or windy as this may increase the risk of accidents. Take the MTR to Choi Hung, go to exit C2, take the A1 mini bus to sai kung town. Swap to the 94 bus and get off at Pak Tam Au. The route starts 50m ahead on the right. When finished, grab a taxi or wait for the bus that goes into Sai Kung Town, then the A1 mini bus to Choi Hung MTR station.